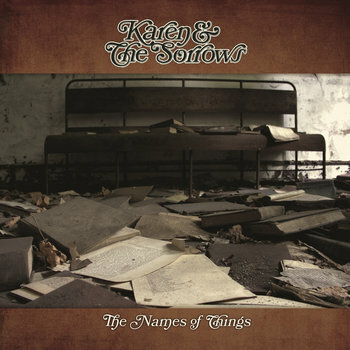 The New York country scene just wouldn't be the same without Karen and the Sorrows. They organize Queer Country Monthly, a truly magical musical showcase for cowpokes of all genders and orientations. That's the first reason I'm glad The Names of Things is done -- it means the series can start up again. The other reason I'm glad is that The Names of Things is beautiful. Release just shy of Pride Month, the Sorrows fly their colors proudly, if with a tinge of Southern melancholy. As befitting the band's name, most of the songs tell tales of heartache and loss. "Star," (which, spoiler alert, will be featured on a few exciting album comps in the near future) brings us home with some hope and dogged determination. As we all know from experience, the darkest times always come to an end. I'm hoping the Sorrows' follow-ups will continue in this vein.